Liverpool take on Tottenham Hotspur this Saturday at 12:30pm at Wembley Stadium. Liverpool travelled to the King Power Stadium on Saturday 1stSeptember to face a Jamie Vardy-less Leicester City. First half goals from in-form Sadio Mane and Roberto Firmino put the Reds on top before a mistake from a perhaps over-confidence Alisson gifted Leicester a route back into the game via Rachid Ghezzal. However, Klopp’s men held on to claim all three points in what was an historic victory – Liverpool had never before won their opening four games in a row in the Premier League era. Tottenham travelled to Vicarage Road to take on a Watford side who were flying high in the Premier League. Just off the back of a resounding 3-0 win against Manchester United, Spurs took the lead through a Abdoulaye Doucoure own goal. However, Watford bounced back spectacularly through Troy Deeney and Craig Cathcart to maintain their unbeaten run and remain third in the league. Spurs drop to fifth behind Manchester City. Liverpool will be without Dejan Lovren, who remains sidelined until the end of October, as well as Adam Lallana. The only other long-term injury concern for the Reds is Alex Oxlade-Chamberlain, who may not feature at all this season. 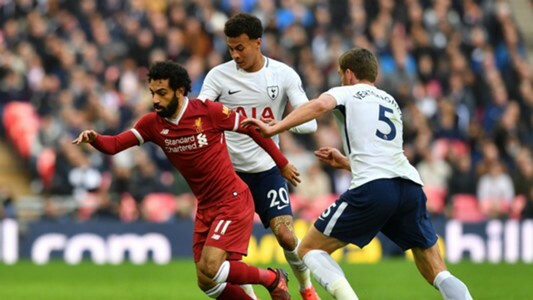 Tottenham were rocked yesterday by the news that goalkeeper Hugo Lloris and forward Dele Alli will both be unavailable for the Liverpool clash. Lloris is out for several weeks with a thigh strain while Alli has been sidelined with an injury picked up during the international break. Both will be major losses for the London team. Sadio Mane continues to be Liverpool’s man of the moment. The Senegalese winger has four goals in four games for the Reds and looks to be in top form. Spurs will have a job on their hands keeping him contained, especially alongside Mohamed Salah and Roberto Firmino. Harry Kane remains Tottenham’s key player. With two goals under his belt so far this season, the England striker is always a threat to any defence. Liverpool will look to marshal him at all times. Klopp is likely to name a relatively-unchanged squad. Despite his blunder last time out, Alisson is nailed on to start in goal behind the blossoming centre-back partnership of Joe Gomez and Virgil van Djik, with Andy Robertson and Trent Alexander-Arnold in the full-back positions they’ve made their own this season. Naby Keita may return to the starting XI at the expense of either Henderson or Wijnaldum, who both played for their respective countries during the international break and could benefit from a benched start. Milner’s work-rate will be required against a Spurs midfield who move the ball quickly and effectively. The terrific trio of Mane, Salah and Firmino will no doubt start up top, with Sturridge and Shaqiri effective attacking options from the bench. Reports suggest that Fabinho will also return to the bench and may make his Premier League debut tomorrow. Predicted starting XI: Alisson, Robertson, Van Djik, Gomez, Alexander-Arnold, Henderson, Milner, Keita, Salah, Mane, Firmino. Subs: Mignolet, Matip, Moreno, Wijnaldum, Fabinho, Shaqiri, Sturridge. Score prediction: Tottenham 1 – 2 Liverpool.